Photo Products in HighEnd Quality! 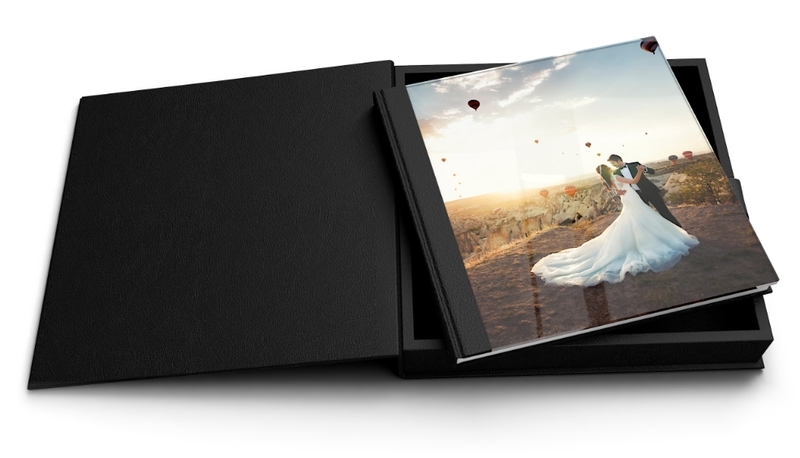 Make a beautiful photobook to commemorate your unforgettable wedding, last trip or family celebration. Thanks to years of experience in the field of photography, we are able to offer you photos in the highest quality. High quality: First-class prints on Fuji Crystal DP II Professional Paper. Not just photos: Photo stickers, photo plaques and RetroPrints. Put your photos in the limelight and transform your wall decorations into striking eye-catchers for your friends and visitors. The right card for every occasion. Classic cards, flip cards and folding cards - individually designed. Transform your photos into a true work of art with an extraordinary feel. Hahnemühle Certified Studio: One of few certified providers. Hahnemühle Papiere: FineArt Photo Rag®, FineArt Pearl or FineArt Baryta. Your photos deserve attention! Highlight your photos as HighEnd quality posters. Different finishes: Choose from five impressive papers from FUJIFILM or Kodak Metallic. The photo booklet distinguishes itself with premium paper, matte protective film and spiral binding. Saal Digital offers you many advantages as a customer. It is imperative that you as a customer are completely satisfied. Therefore, we take not only the products, but also you and your feedback very seriously. This what has inspired our Saal Digital satisfaction guarantee. Sign up for our newsletter and receive regular updates on offers, new products and professional information. Visit us on Facebook and Instagram for the latest information. HighEnd photo products with brilliant quality - that's what Saal Digital stands for. Our goal is to always offer you the maximum product quality. With us, your pictures are in the best hands! You will be able to obtain your highly anticipated photo product as quickly as possible. With a production time of only a few working days, we guarantee you a fast delivery. Transparency is important to us: At Saal Digital, you receive all of your products directly from the manufacturer. This guarantees fast delivery and smooth communication. We refrain from using any manufacturer logo on all of our products. This way, you get a completely neutral product in top quality and can use the entire design area without any distractions. With Paypal we offer you a secure payment option for your orders. At Saal Digital you can order in comfort, because your satisfaction is a central part of our company philosophy. We want you to be happy with your products. Nevertheless, should you have a reason to place complaint, we will certainly find a satisfactory and fast resolution for you - whether it is new production, voucher or credit, we will make it right!